The owner of two dogs which savaged 11 sheep and had to be shot at the scene by police marksmen has been ordered to do 250 hours of unpaid work and pay £1,952 in compensation. Blackburn magistrates heard the Japanese Akitas - also known as Japanese Fighting Dogs - attacked the sheep owned by two farmers in Rishton, Lancashire. Owner Jason Sleddon, 23, now of Sparth Road, Clayton-le-Moors pleaded guilty to being the owner of dogs dangerously out of control. The court heard a police officer attending the scene feared for his own safety when the dogs turned towards him baring their teeth and growling. 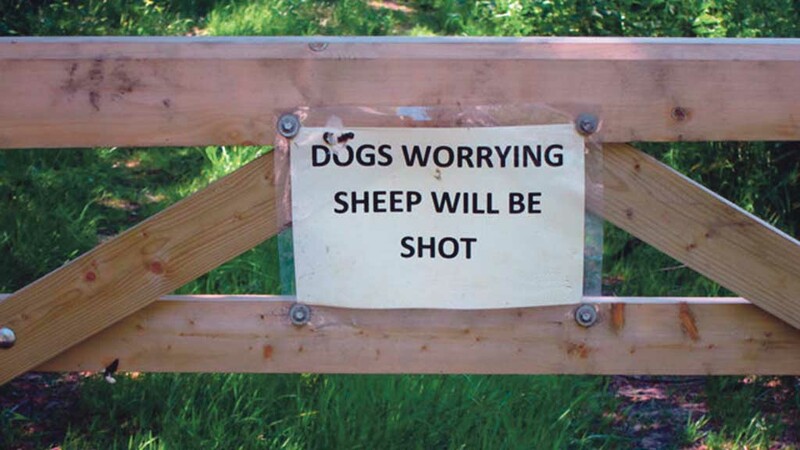 Magistrates heard how the officer called for back-up from marksmen after seeing the dogs killing the sheep. Defending, Jonathan Taylor, said Sleddon had tried to make the fence at his home secure to keep the dogs inside but they managed to get under it and escape.